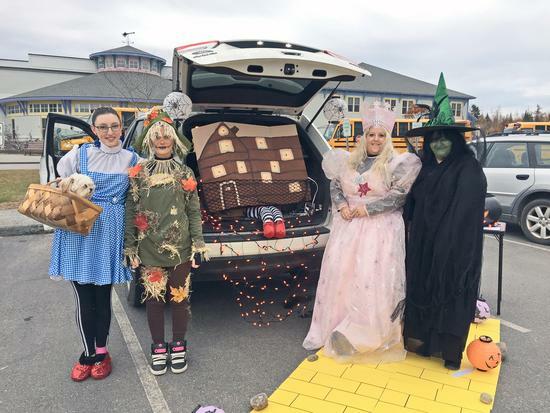 The parking lot at Deer Isle-Stonington Elementary School was packed with cute, creepy and festive trick or treaters for the second annual Halloween trunk or treat event on October 31. Parents, teachers and community members handed out candy from the trunks of their vehicles, many of which were decked out in Halloween decorations. 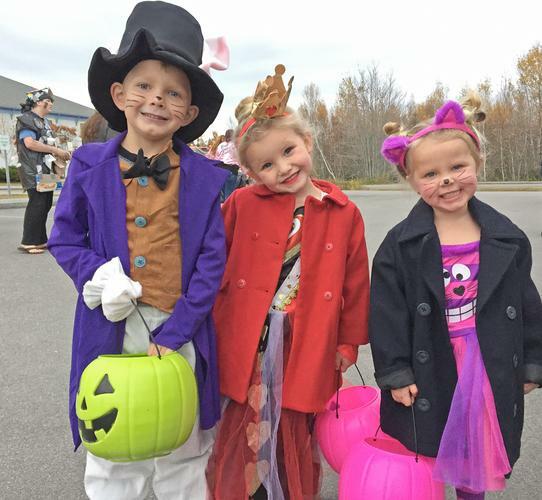 The event offered an alternative to around-town trick or treating. 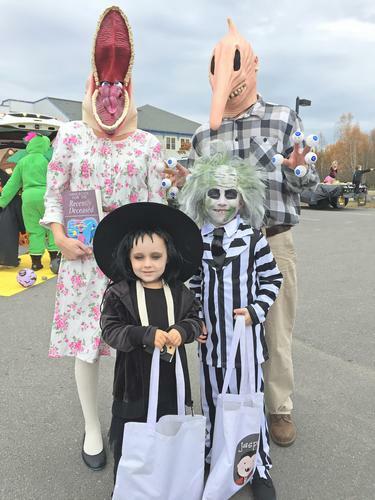 Cayce and Bennett Gray, back, take their children Beux and Jasper, all in full costume as characters from the movie Beetlejuice, to the Deer Isle-Stonington Elementary School trunk or treat Halloween event. Cheyenne Bennett, left, Kateylyn Burns, Dawn Nault and Tina Stinson draw inspiration from The Wizard of Oz for their Halloween costumes. Trace Robbins, left, Macenzie Robbins and Chelsi Proper find inspiration from the book Alice in Wonderland for their costumes. 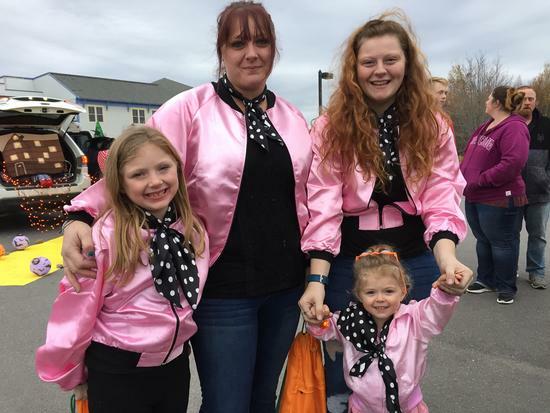 Brieanna Barbado, left, Jamie Sullivan, Haley Hardy and Aurora Barbado dress as The Pink Ladies from the movie Grease.